Can you identify different body organs? This website uses Flash which may not work in all browsers. 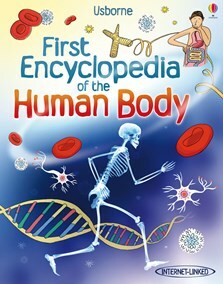 A fact-packed, beautifully illustrated, all-round introduction to the human body and how it works. Full of extraordinary photographs, detailed diagrams, stunning scans, x-rays and microscope images of the human body. Engaging text and clear, simple explanations of all the main bodily functions. Includes experiments, amazing facts, a timeline of medical history , a who's who of great scientists and internet links to recommended websites.